Pride is a critical part of a prizefighter’s makeup. It is not normal to enter a ring and remain there, for minute after minute and round after round, with another human being who is looking to hurt you. A special type of pride drives a person in that direction in their life. It takes an even deeper well of pride to stay in the ring once the fight starts to go against you. You have to think that Carlos Cuadras’ pride was already a little bit tweaked heading into his fight Saturday night with Roman Gonzalez. Cuadras was the undefeated, WBC super flyweight champion heading into that bout. He was a tough veteran with a high knockout percentage. 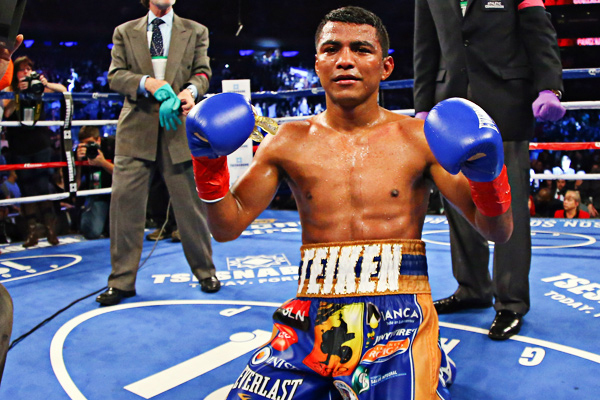 Yet he found himself in the position of opponent–the forgotten “B” side to Chocolatito’s “A.” Gonzalez came into the bout a three-division world champion, undefeated in 45 fights with 38 KOs. He was the consensus pound-for-pound king. For his own part, Gonzalez knew what Cuadras was bringing into the fight. As a result, he started much more aggressively than is normal. He put a lot of pressure on the champion early. I had Gonzalez winning four of the first six rounds. But Cuadras dug deep and turned the second half of the bout into a war. After spending much of the early rounds simply trying to stay out of Gonzalez’s way, he seemed to settle in and get comfortable with picking his spots to stand and trade. By the final bell, Gonzalez’s face was a swollen, bloody mess. I have seen a lot of comments on social media from fans who insist Cuadras was robbed. That is an emotional over-statement, but one I can understand. Based on the eyeball test, Gonzalez came away looking much worse. But that is not how fights are scored. On a round-by-round criteria, Gonzalez won. He landed more punches, even if Cuadras scored a few that were higher quality. I had Gonzalez squeaking by seven rounds to five, as did judge Robert Hecko. Max DeLuca scored the fight eight rounds to four for Gonzalez. That is reasonable. Cathy Leonard’s nine-rounds-to-three card seems to me like she gave Gonzalez too much credit simply for being the more famous man in the fight. This is the type of fight that makes me think about how things might have been different if we still had 15-round championship bouts. I thought Cuadras won the last two rounds and was stronger in general as the fight concluded. If three rounds had remained, I think he would have pulled it out. If you are a boxing purist, this fight was a dream come true. It was a case of two outstanding ring generals struggling to impose their own wills on each other. Both men put on a footwork clinics. I am glad there is some controversy over who should have won, though. Because it should make a rematch inevitable.